Recently I have reached a whole new level of forgetfulness. I have mastered the level of forgetting my books in my room while running off to class, and forgetting my keys in the car. Although this new level has decided to bring on even more humiliation. Now when I make a phone call, in the split five to ten seconds the phone is ringing I forget who I am calling. This tends to leave in me confusion of whether I was calling this person, or whether they were calling me. Not to mention the fact that I don’t even know what I needed to communicate with this person, or who they are. Our conversations typically sound similar to this. Me: Oh hi! What can I help you with? Them: Umm. You called me. This conversation is usually followed by an awkward pause as I try to recover from this hole that I dug myself. After much embarrassment, I can eventually move the conversation back on track to what I had originally planned to discuss. But being a creature of forgetfulness, I tend to wrestle with this concept in all areas of my life. As a human in the process of sanctification, I will humbly admit that I tend to lose the joy and astonishment of the blood shed on the cross for my sins. It’s not that I am not thankful for the cross, or that I don’t appreciate the sacrifice. As I think about why I lose sight of the grace given to me, I have come to a conclusion that it begins with forgetfulness. I am diligent about sharing the Gospel with people around me, when I see broken hearts who are searching for the satisfaction. I can’t hold back the passion to share Christ with thirsty souls. Yet, I tend to forget that this broken heart of mine needs constant reminding. It constantly needs a reminder of the cross. It needs to remember the life of Jesus, fully man yet fully God, who humbly came to earth (John 3: 16-17). A sinless man destined to die a criminals’ death, yet it gave Him joy to die for the lives of sinners, so that they may have eternal life with His Father (Hebrews 12:2). So that we might live into the hope, joy, peace, love, and freedom that Christ has prepared for us. We constantly need to fall onto the cross in awe, and never grow dull to the reconciled relationship and freedom given to us through Jesus. To the life offered up as a sacrifice, so that we may be blessed by a King. The life of Jesus should never be taken lightly in a way that we tend to forget to reflect on the immense amount of love and grace that always was, always is, and always will be. Forgetful hearts become jealous, they let our flesh (sinful nature) take the reigns of our heart and whisper lies of what we deserve into our mind. This lack of dependence is contrary to the will of God and the life given to us by the Spirit. In John 10:27, Jesus says that, “My sheep listen to my voice; I know them, and they follow me.” Following is an action. According to dictionaryreference.com the exact definition is, “to accept as a guide or leader, accept the authority of or give allegiance to, obey.” Depending on ourselves, our society, our friends, our family members, and our possessions only get us so far in life. The only place where we can seek true satisfaction and rest in this world is in Christ. Let us never grow dull the sacrifice made on our behalf. May we continuously be left in awe of the power of the cross and the love of our God. The song “Love of God” by Ascend the Hill brought me to the understanding of the immense power and love of our Creator. Below is a link to the song (the second verse illustrates a breathe taking picture of the unconditional love of God). On September 23rd Sheridan College BCM took part in a nationally recognized event known as See You At The Pole. 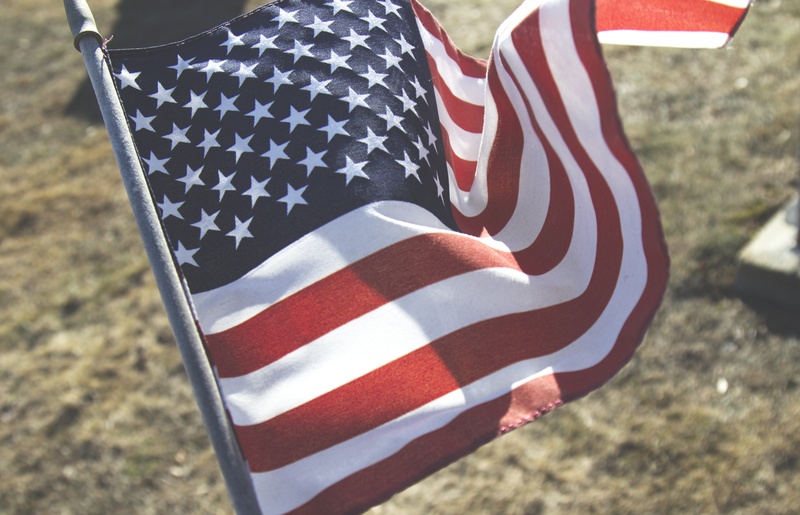 Where students across the country gather around their school flag poles to pray for their campus, town, state, country and world. My eyes started to swell with tears of joy as we stood hand-in-hand united as believers under the power of God. The student’s hearts were urgent to see the Lord’s Kingdom come to earth, and for the power of God to be revealed in the lives of people on their campus, town, state, country, and ultimately the globe. Humbled to be adopted into the family of God, we stood eager to see lives transformed by the Gospel. As we bowed our heads to the submission of the Lord, and held hands in unity. The sun began to peak over the horizon beaming light over where we stood. In this moment it was clear that the Lord, Emmanuel, was with us; and that He delights in His people, and sees pleasure in His Kingdom Laborers. 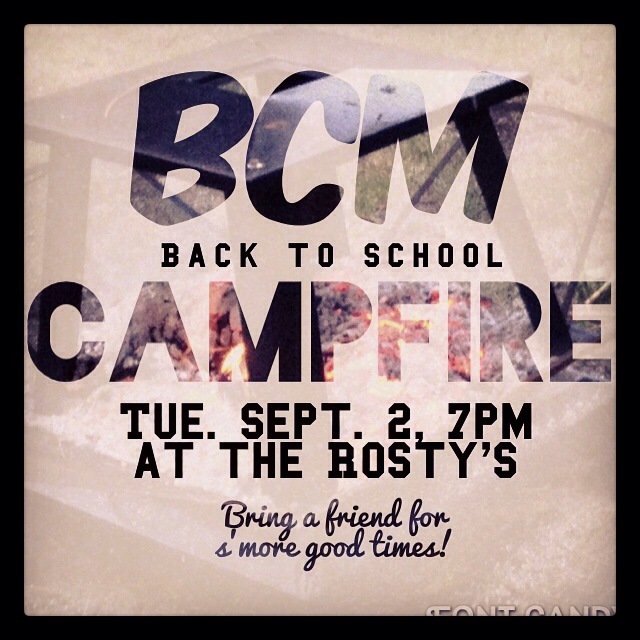 Join us tonight for BCM in Throne Rider Commons room 008 at 7:42! To prepare for 10/15/15, I plan to share a few tips that have greatly helped my journey to understand my faith in Christ, and share it better with the world. 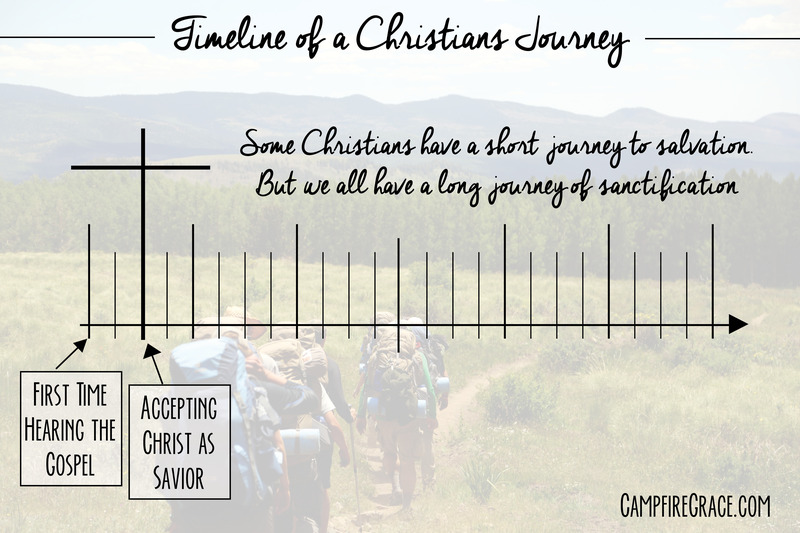 First up: the Timeline of a Christian’s Journey. There is something special about mornings. My heart flutters when I think about one day possibly waking up a little one as the sun comes up, sparking a new day. New adventures. Mornings hold a sense of potential at their horizons, although this morning felt as if the potential had been left on the other side of the earth. As the sun rays beam into my room, indicating the day has started without me, my tired eyes slowly open only wanting to shut again. The drowsy morning and long evenings spent with friends, work, and school tend to easily wear a college girl out. The only problem is that I don’t have time to be tired. Tired isn’t something that fits into my schedule. With the extended to-do list written on my white board, and the planner filled with assignments (that I still don’t know where they all came from), I began to panic. No longer is this morning a lovely smell-the-coffee-brewing morning. This is sweatpants, messy hair, forgetting-my-math-book-out-the-door, and no-breakfast-type of morning. Functioning through these days can be awfully long and exhausting. I can feel my heart tugging at me to slow down, to look people in the eye, to breathe. But in the moment it doesn’t feel like I have time for that. Thank the Lord for His unending forgiveness and grace for my worrisome little heart. Speed walking through this all-too-busy day, I long for the “rest in green meadows, [and] peaceful streams, [and] renewed strength” that Psalms 23 promises; but that’s far from what I feel. Then with a convicting stab in the heart; I realize that this day isn’t restful because I am choosing my busy schedule over the God that gives rest. The God that brings peace and abundant life. But my long list of things to do are good things. They are to help bring the Kingdom of God to earth. Sharing the Gospel with youth and college students over coffee and Bible studies. Hanging up fliers for weekly events. Running errands for our campus ministry and making agendas for meetings. It’s not that these are bad tasks, they are to further the Kingdom, but when I am striving to do them in my own strength I quickly find myself sinking. 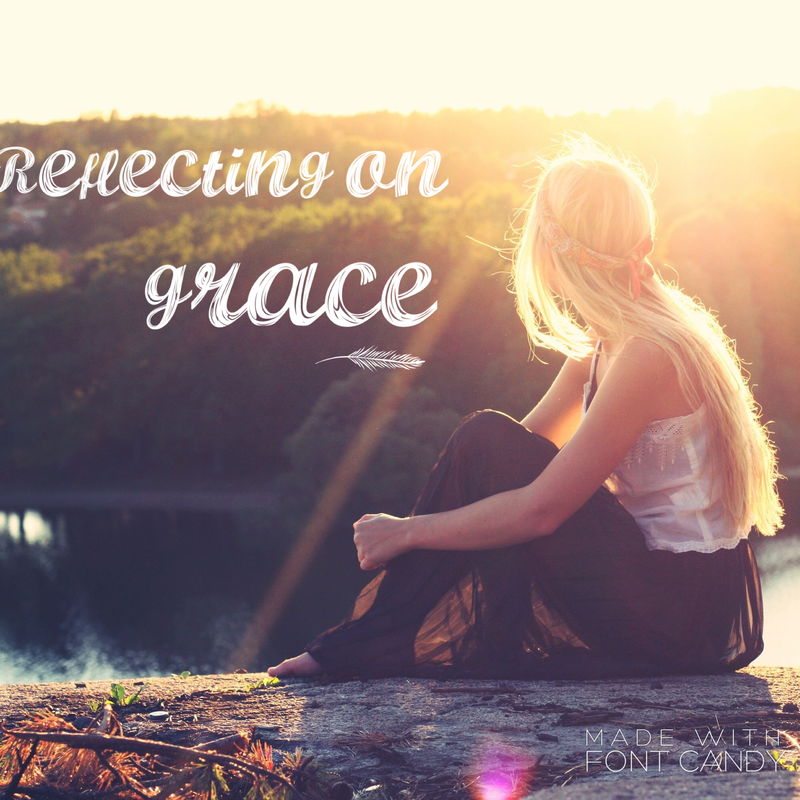 But I remind myself that the pool I am falling into is grace. As I repent of my pride and forgetful mind of how much I need my God in every moment to function. I pray Colossians 3:2, that my mind would be focusing on “the things of heaven, not the things of earth.” That He would be guiding my moments and hours, guiding “me along right paths” (Psalm 23:3). 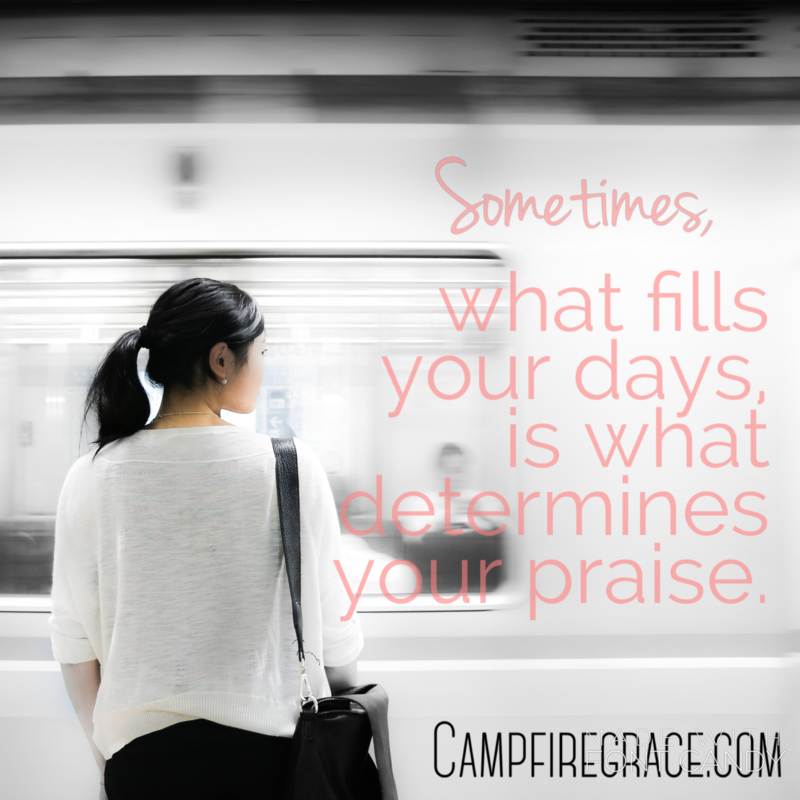 When I live a day surrendered to God, He does amazing things with my schedule. 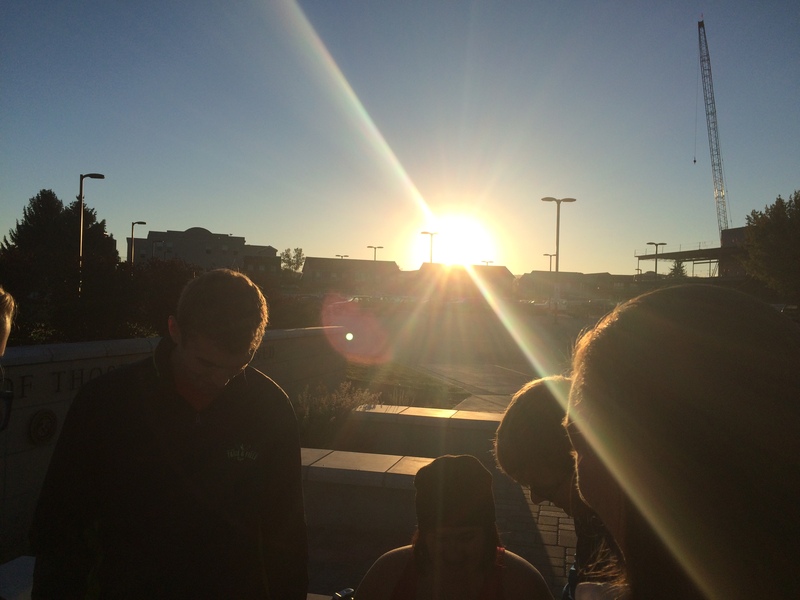 He opens my eyes to seeing people on campus who need encouragement and prayer. He drives me into places of sharing the Gospel. He brings me to peaceful and restful places to renew my mind and heart. 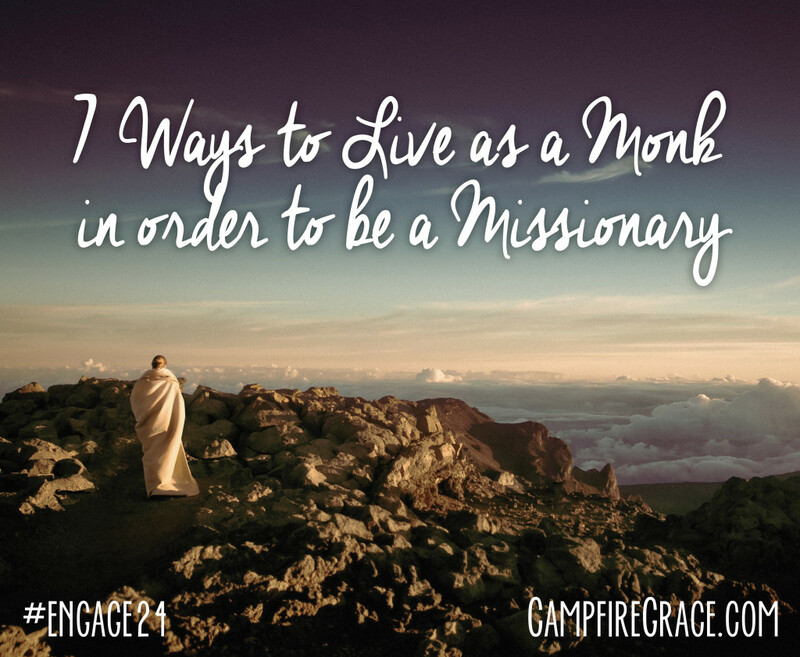 He brings in the satisfaction of living a life with a Kingdom mindset and a free soul. Every morning seems to be a choice of who will I serve today, myself or my Creator. But with every victory in choosing my Creator, it becomes less of a drowsy morning and more of a radiant morning. QUIZ: What Do You Worship? Tonight, the Holy Spirit reminded us, through Shane’s teaching, to be pouring out our worship to Jesus. It is so easy to give our attention to other things, to value the opinions of others above God’s, to fill our schedules with self-fulfillment instead of God-worship. Below is a quiz that might help you determine where your bent is for worship. Check out the “check in” question at the end and feel free to leave a comment. 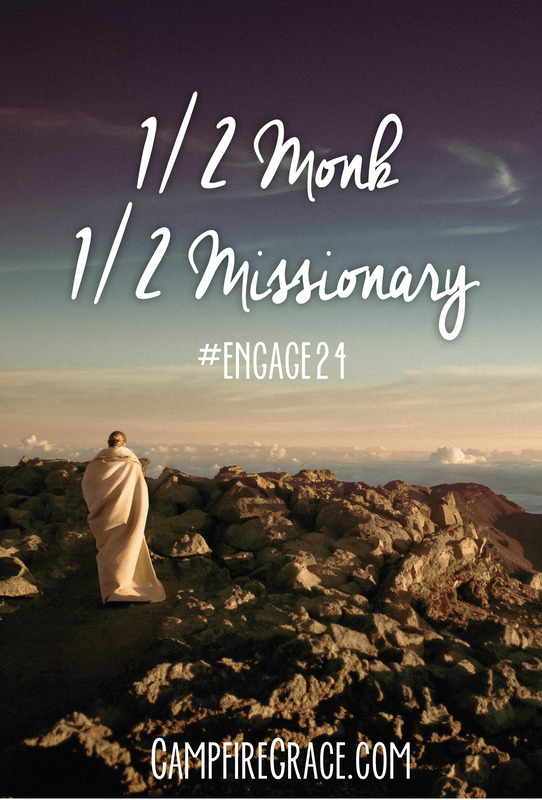 Which number helped you rethink your worship-focus? How can you refocus that area on Jesus? As the summer begins to come to a close college students across the country came together to experience a deep time of worship in New Mexico at Glorieta Camp. During the week God was uncovering dark spots in hearts, equipping students for campus, and refreshing minds. Here is an article on what God did in the life of a student during Glorieta. And with that, I felt like I could breathe again, like God was finally raising the anchor that had been weighing me down for the last 5+ years. I told my leader, “I feel like I can really breathe again!” I felt my walls of straw and sticks be blown down and the first brick was laid toward building my identity in Christ. I went into our meeting and shared what had just happened. Everyone began clapping… I was so confused. I knew that what had just happened was huge, but I didn’t understand or realize why and how this part of my testimony had an effect on everyone around me. But of course, there’s someone in nearly everyone’s life that is hard to forgive. Throughout the rest of the week, I was told on several occasions that my story had softened some hard hearts, and that it was a privilege to see what God was doing in my life, and I was asked how I did it when there was so much hatred for other people (credit goes to God). I must say though, forgiveness is not a one-time thing, it’s a process. These situations are constantly brought back up again, as well as the emotions, and I have to remind myself that I forgave them. Some days are going to be easier than others. But, the freedom I have felt since Monday the 3rd of August, 2015, has been overwhelming. I’m no longer a prisoner to my own un-forgiveness. The harbored anger, rage, grudge, and revenge-like attitude are no longer taking up that space in my heart that was preventing me from worshipping my Abba with my whole heart. If there are people in your life that you need to forgive, but you don’t know how, just think of how many times we have sinned against God, yet how He has forgiven us time and time again. Strive to be more like Him, and know the freedom, and the peace that comes with it. Thank you SO much to those of you who have prayed with me, encouraged me, and loved me unconditionally for the last several years, and especially during our week at Glorieta. You know who you are, and this wouldn’t have been possible without you and God. I hope that someday I can be at least somewhat as kind to you and those around me in return. Join us to celebrate the beginning of a fantastic year. God is going to keep doing great things. Call or text 307-259-1316 for a ride or directions! Help us raise awareness and funding for those shining a light in the darkest places of our world. We plan to host this GLO-bal 5k Fun Run annually, with a different ministry/missionary spotlight each year. This year’s Glo-bal spotlight ministry is in Southeast Asia. 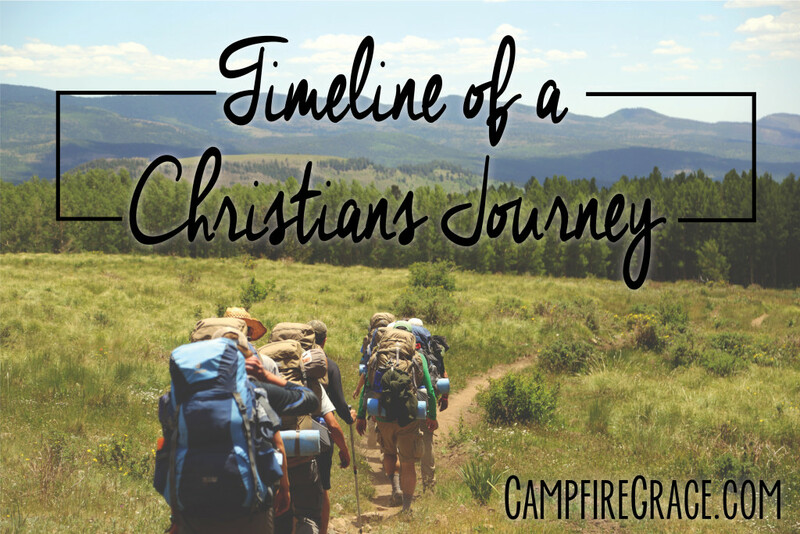 One of our BCM students experienced their Christlike love for the world first-hand when she traveled with them during Christmas in 2013. Serving in orphanages, leper colonies, and University campuses, D* and his team strive to share the light of God’s love in some of the darkest places on our planet. We are excited to announce that 100% of each race registration costs will go to this exciting ministry in Asia. *Name withheld for international security. Medical personal will be available if needed. A water station will be provided at the 1/2 way mark. Join our Global 5k for Missions Facebook Event page for updates. To help with the Global Fun Run, contact us at bcmofsc@gmail.com. 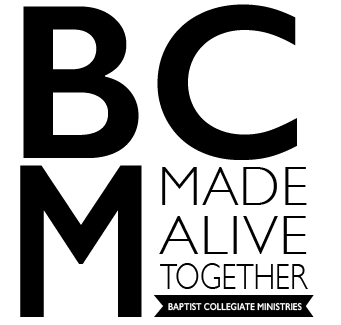 Baptist Collegiate Ministries is a recognized club of Sheridan College. 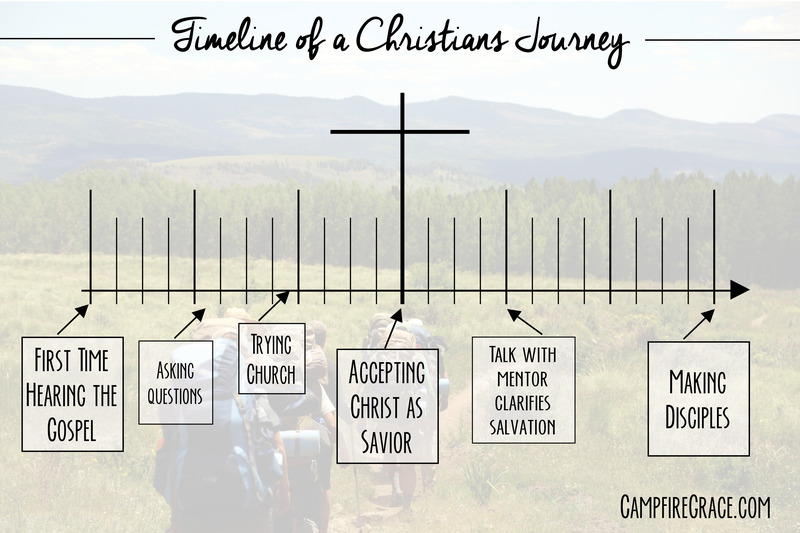 As a ministry to college students and young adults in the Sheridan community, it is our goal to equip students to live out their faith in Jesus both locally and around the world through missions. To learn more, visit our About page.